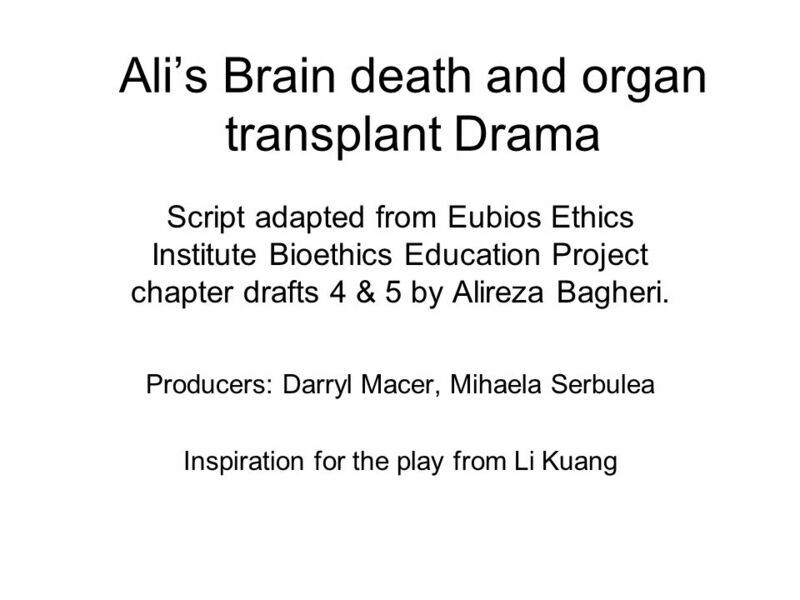 Alis Brain death and organ transplant Drama Script adapted from Eubios Ethics Institute Bioethics Education Project chapter drafts 4 & 5 by Alireza Bagheri. 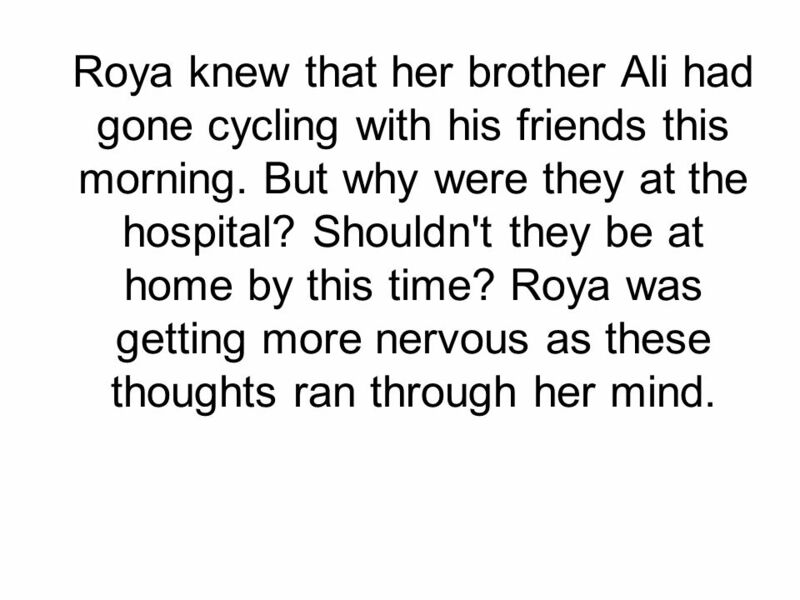 4 Roya knew that her brother Ali had gone cycling with his friends this morning. 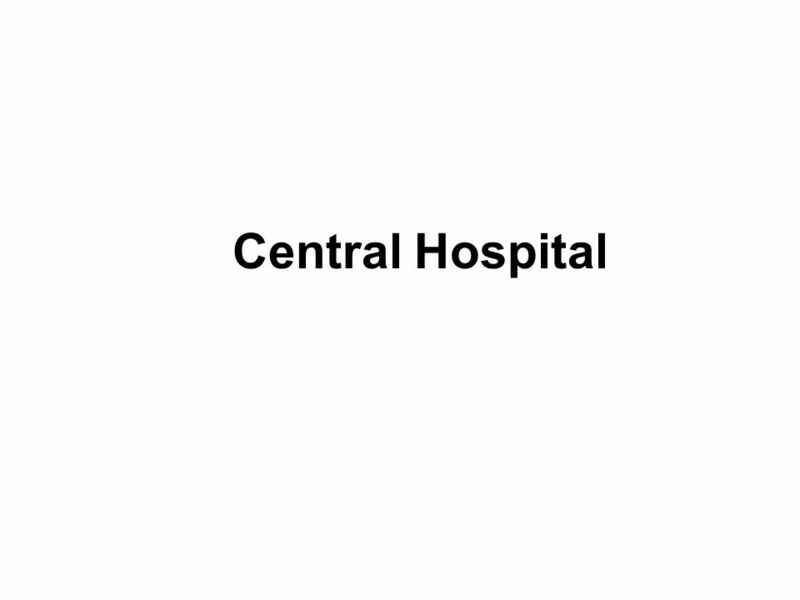 But why were they at the hospital? Shouldn't they be at home by this time? 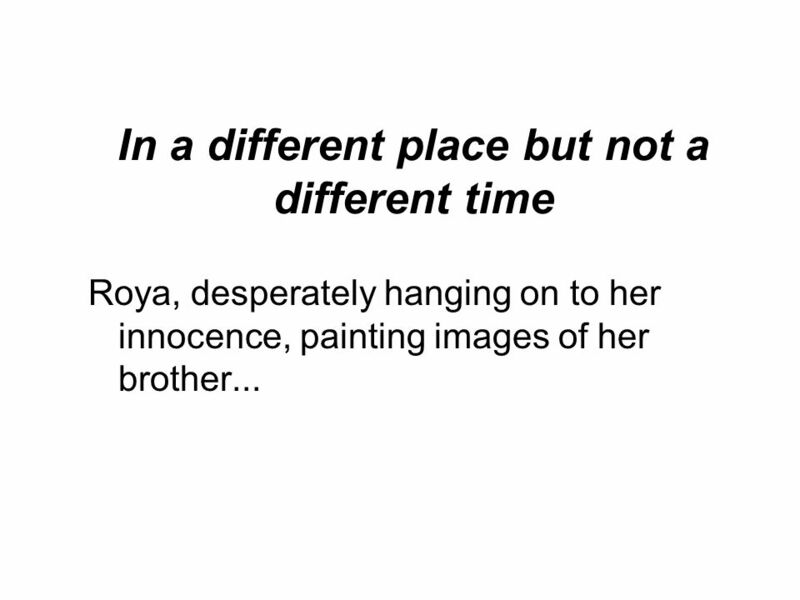 Roya was getting more nervous as these thoughts ran through her mind. 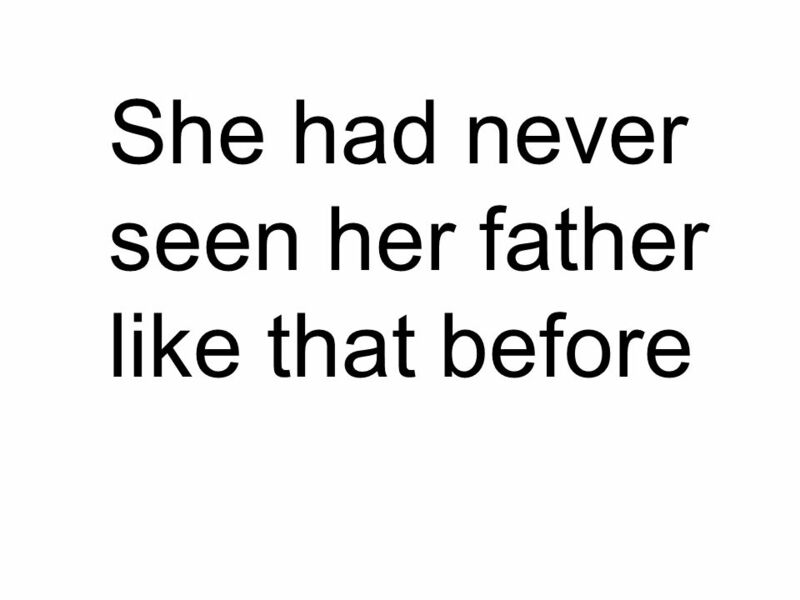 5 Anxiously, she was conscious of every change of emotion going through her father's face. Why? Why? Why? 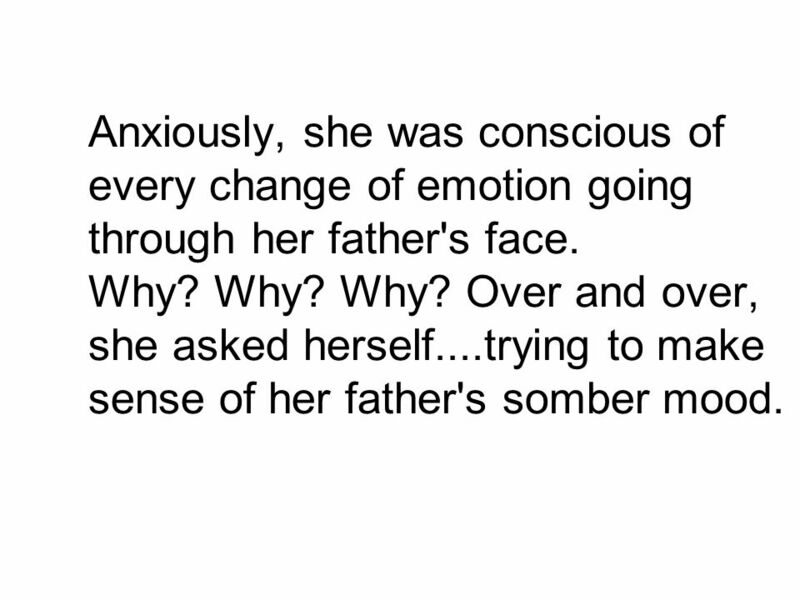 Over and over, she asked herself....trying to make sense of her father's somber mood. 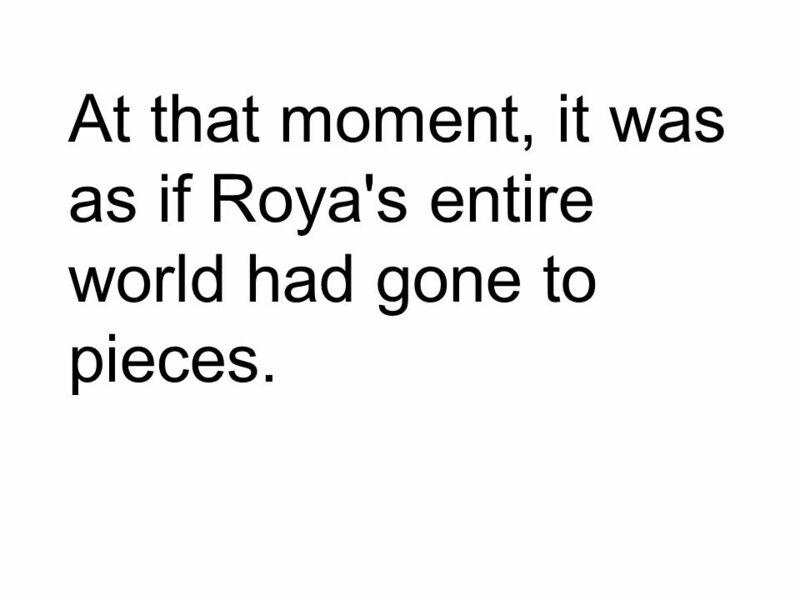 6 At that moment, it was as if Roya's entire world had gone to pieces. 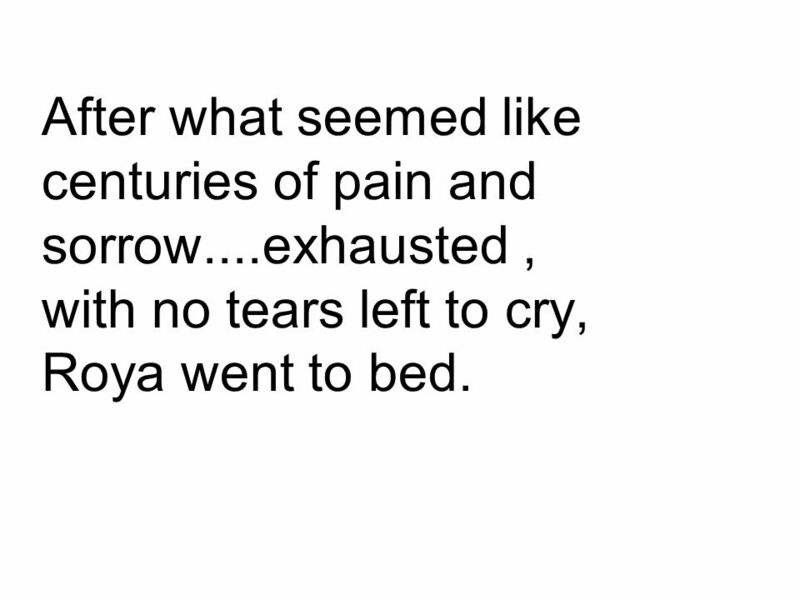 7 After what seemed like centuries of pain and sorrow....exhausted, with no tears left to cry, Roya went to bed. 10 Ali? 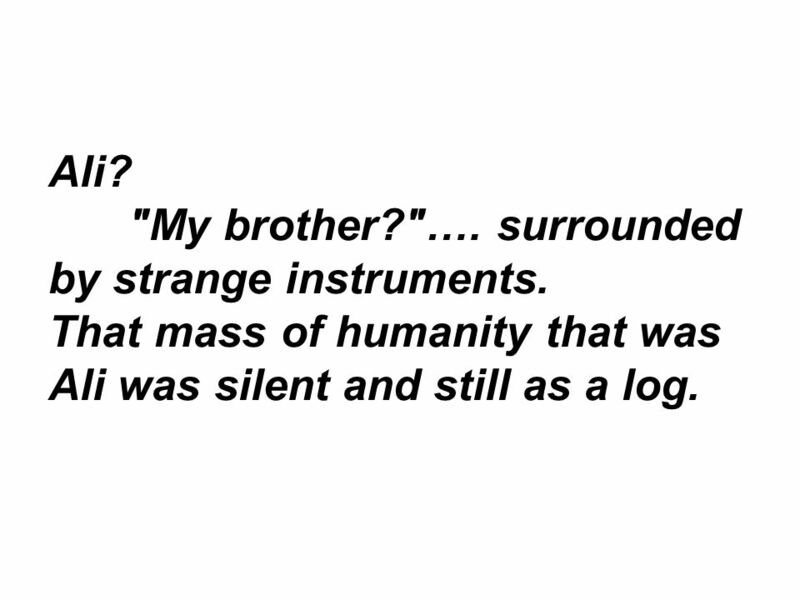 "My brother?"…. surrounded by strange instruments. 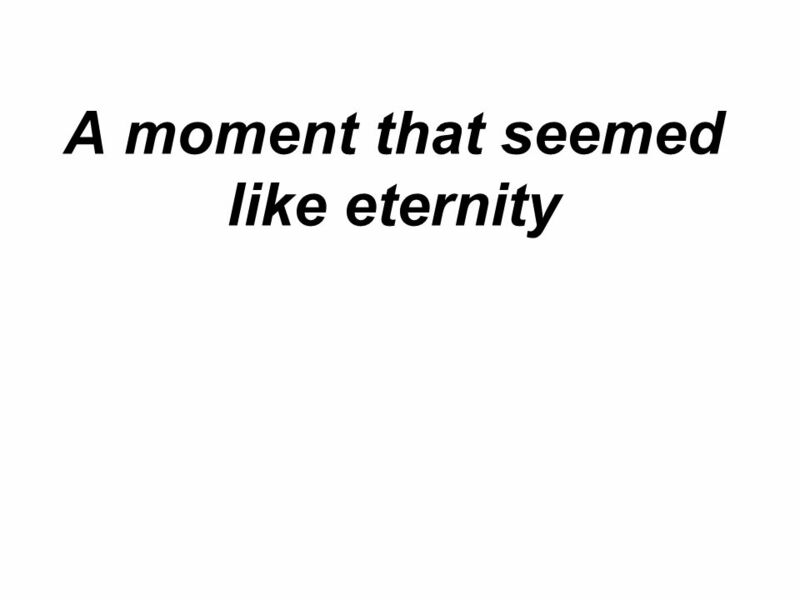 That mass of humanity that was Ali was silent and still as a log. 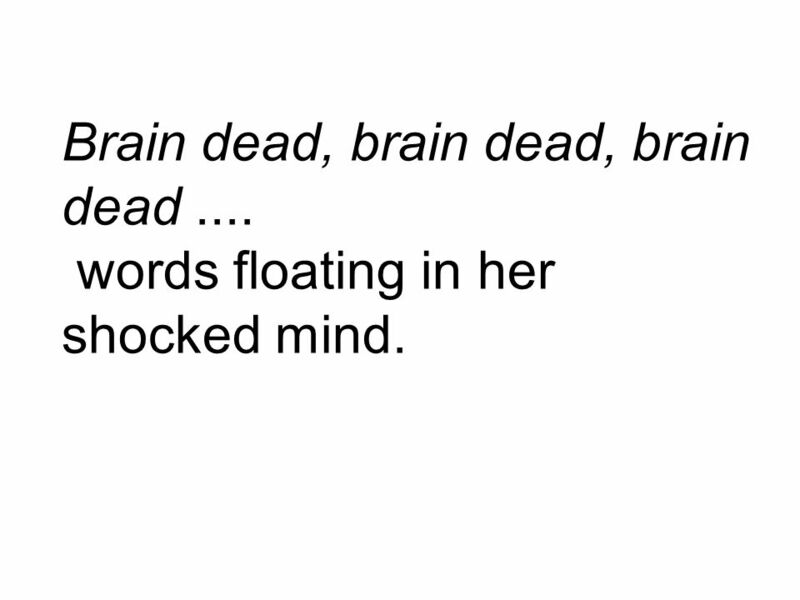 11 Brain dead, brain dead, brain dead.... words floating in her shocked mind. 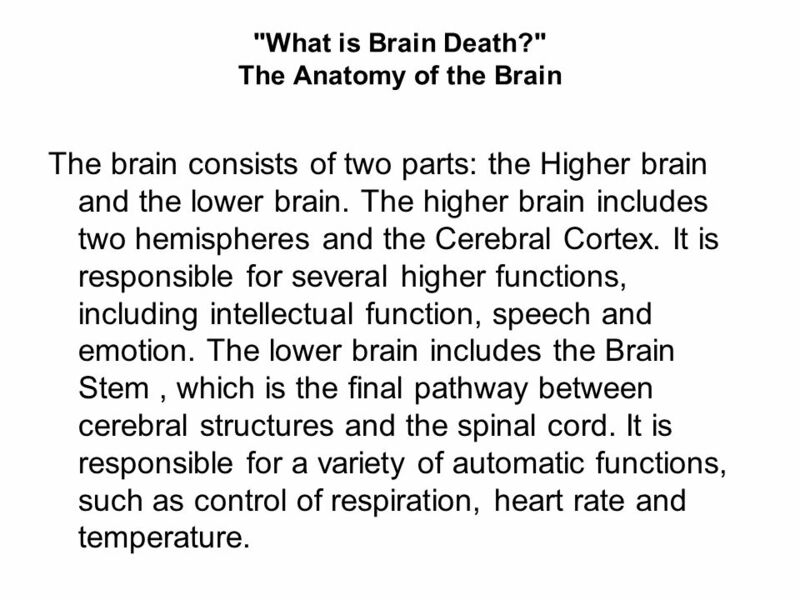 13 "What is Brain Death?" The Anatomy of the Brain The brain consists of two parts: the Higher brain and the lower brain. The higher brain includes two hemispheres and the Cerebral Cortex. 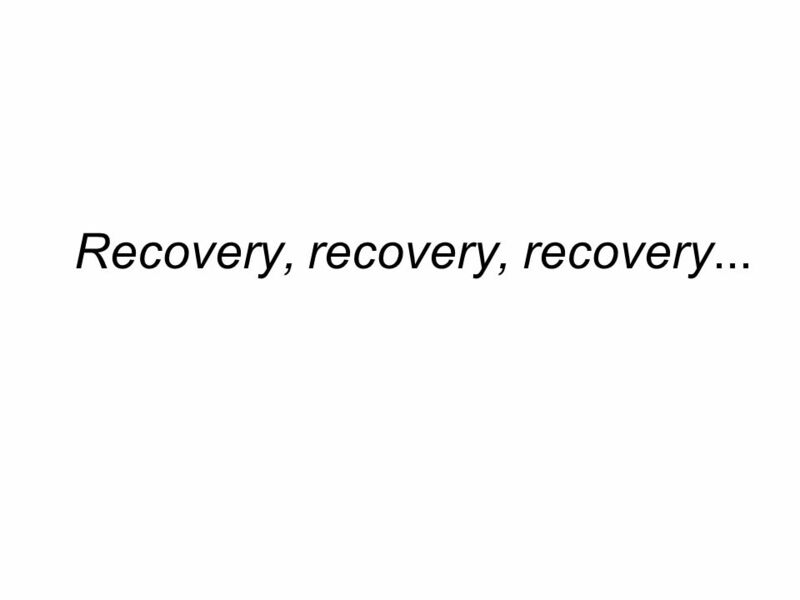 It is responsible for several higher functions, including intellectual function, speech and emotion. The lower brain includes the Brain Stem, which is the final pathway between cerebral structures and the spinal cord. 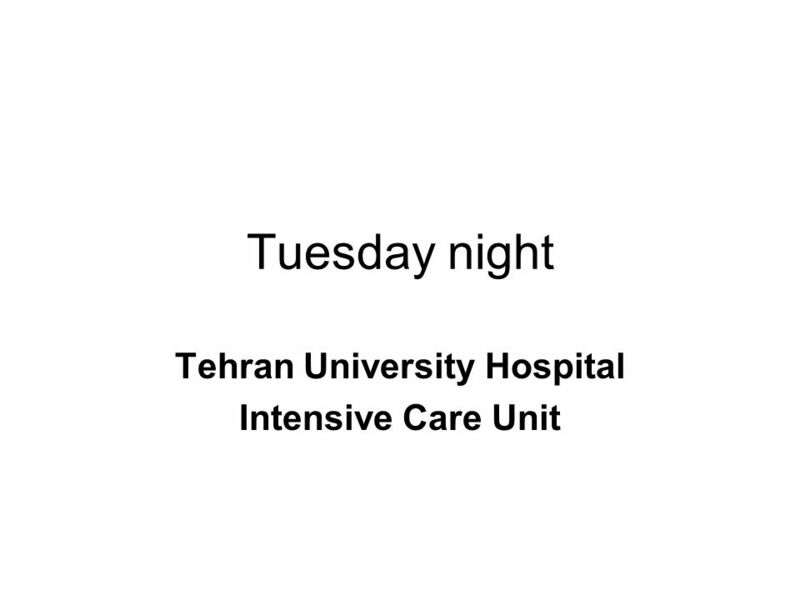 It is responsible for a variety of automatic functions, such as control of respiration, heart rate and temperature. 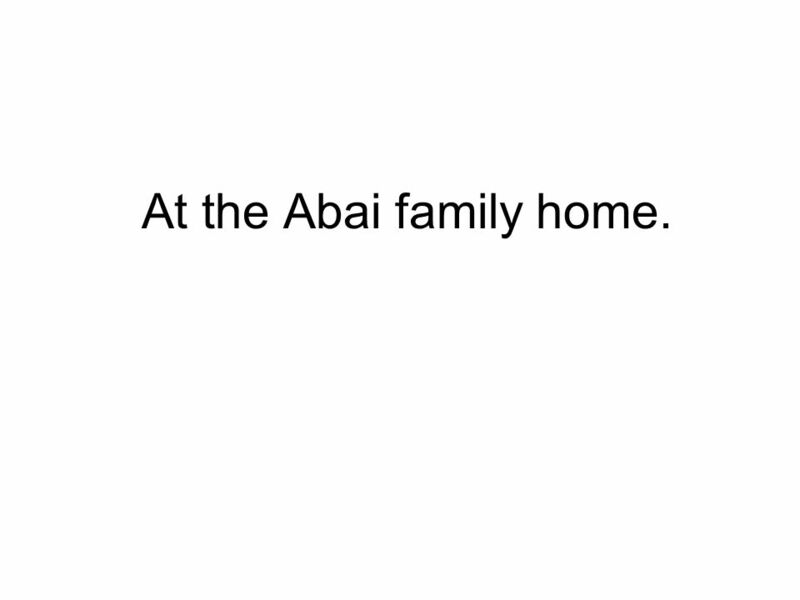 16 At the Abai family home. 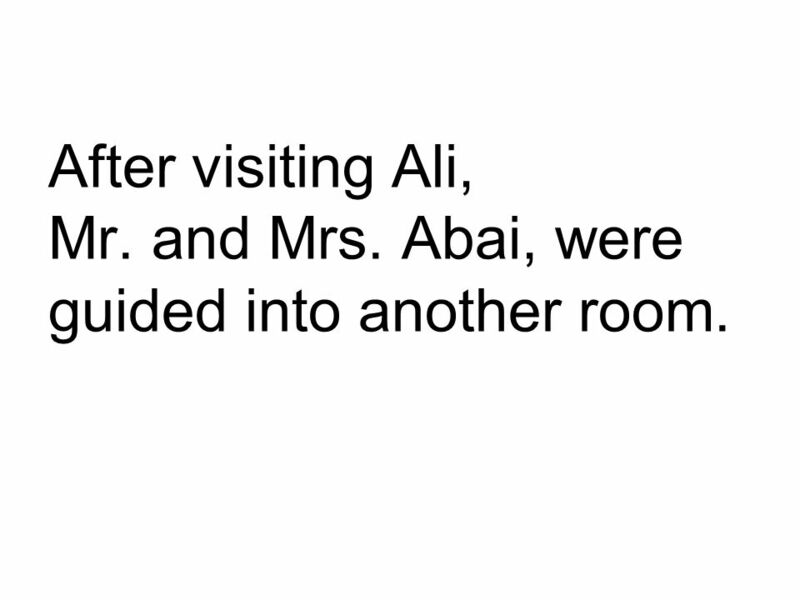 18 After visiting Ali, Mr. and Mrs. Abai, were guided into another room. 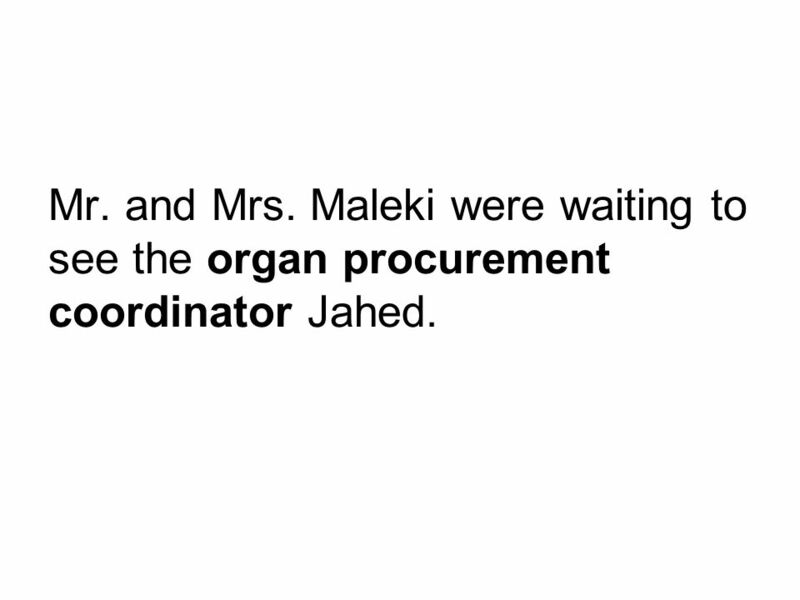 20 Mr. and Mrs. Maleki were waiting to see the organ procurement coordinator Jahed. 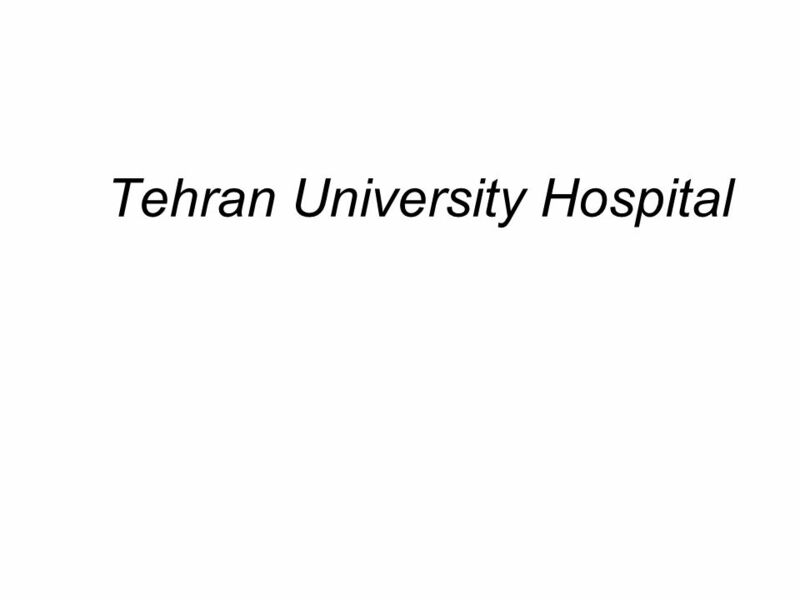 Download ppt "Alis Brain death and organ transplant Drama Script adapted from Eubios Ethics Institute Bioethics Education Project chapter drafts 4 & 5 by Alireza Bagheri." ~Daddy's Empty Chair~ A man's daughter had asked the local priest to come and pray with her father. The Rocketeer An innocent boy was playing with his wooden,toy airplane. 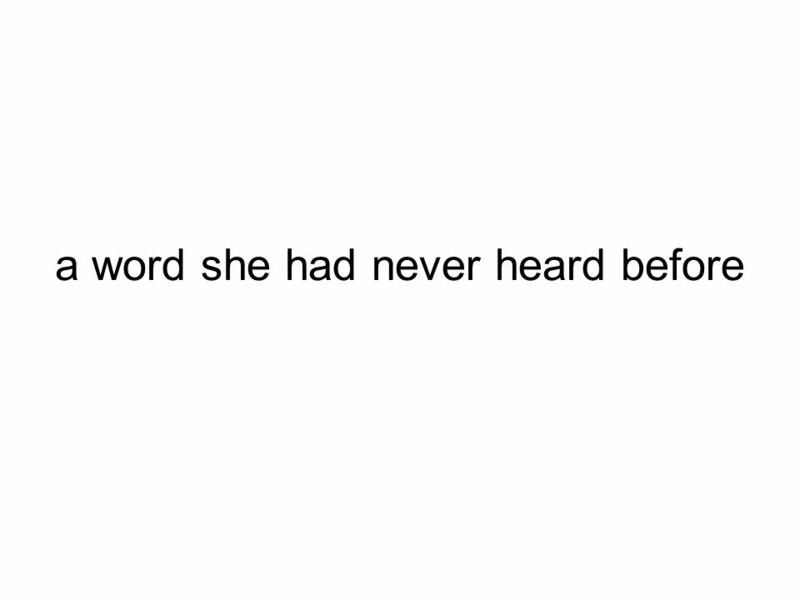 His mother had taken him to the plane re fuelling station for him to see the war. 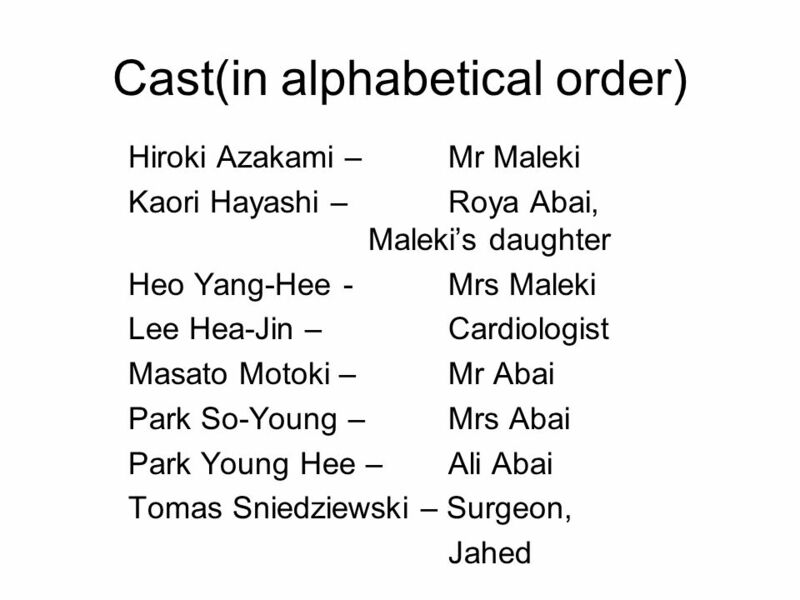 Depression By Mikala Hingson Date 8/21/12 Staring main characters as Lee and Kala. Overview The Nervous System. The nervous system of the human is the most highly organized system of the body. The overall function of the nervous system. Analyzing Symbolism Visualizing What You Read Learning Module 3 Please turn on your sound to participate! 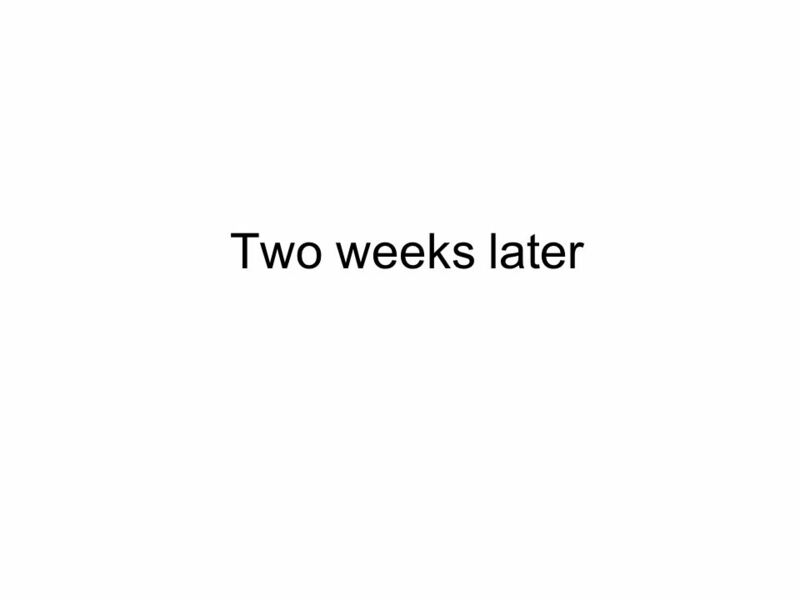 A beautiful story, which will take just a few minutes of your time to read and change your way of thinking. 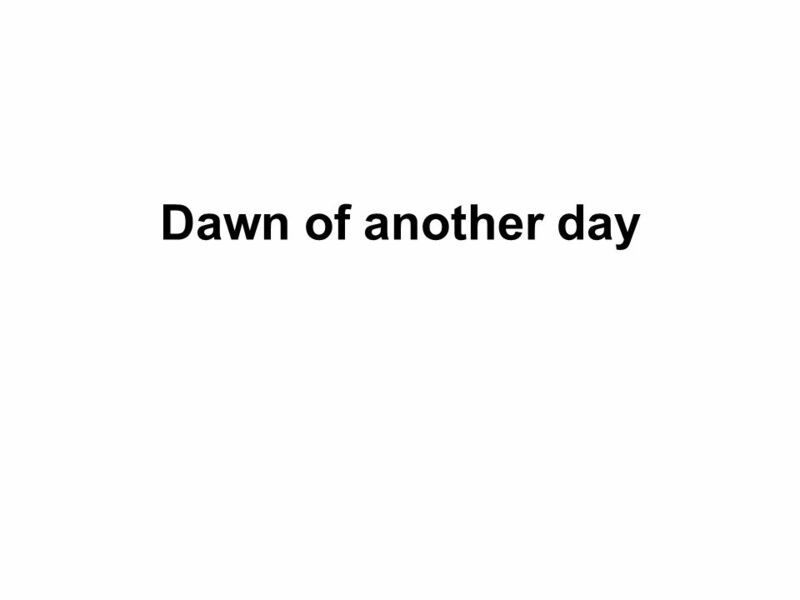 The Brain. General Information Runs all aspects of the body Voluntary Involuntary Reasoning Intelligence Communication Divided up into 3 parts Cerebrum. A Tale Of Two Cites In a poor district in Paris, in the year 1775,there was a wine shop, the owner of ______was Monsieur Defarge.